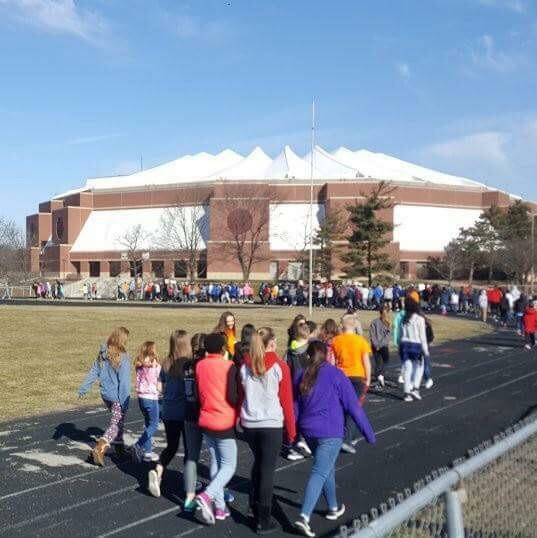 Students at Normal Community High School during the walkout demonstration Wednesday, March 14, 2018. Students at the Kingsley Junior High School walkout on Wednesday, March 14, 2018. Faithe Wenger, a senior at Normal Community High School, speaks during the walkout demonstration Wednesday, March 14, 2018. Junior Tristan Bixby speaks during the walkout demonstration Wednesday, March 14, 2018. Some of the organizers of the Normal Community High School walkout on Wednesday, March 14, 2018. At Normal Community High School, at least 300 students carried signs and chanted during a 17-minute demonstration at 10 a.m., one of more than 3,000 similar walkouts across the country Wednesday. Students are advocating stricter gun regulation including bans on assault weapons and expanded background checks, sparked by the recent school shooting in Parkland, Florida. NCHS has its own history with gun violence. In 2012, a teacher saved the day after a student fired a handgun in a classroom. That scare loomed over Wednesday’s demonstration, with junior Tristan Bixby telling the crowd that her brother was in that classroom—and she almost lost him. Around 200 students participated in a similar demonstration at Normal West high school. Other demonstrations happened at Bloomington High School, and Bloomington, Kingsley, Chiddix junior highs. Over the past few weeks, students and parents expressed concern that participating in the national school walkout may lead to disciplinary action. But administrators said peaceful protestors would not face discipline, and colleges like Illinois State University said participation would not affect the admissions process. Unit 5 appeared to embrace the demonstrations. Superintendent Mark Daniel was on hand at NCHS. "I'm here to challenge to our leaders to change something, to do something." 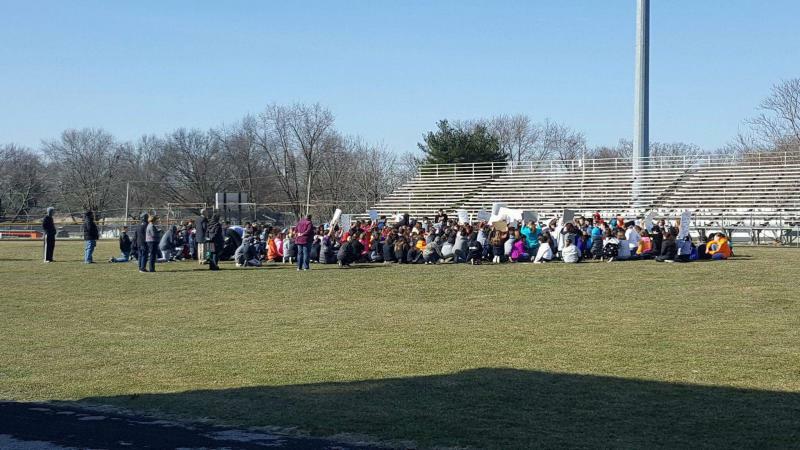 The NCHS walkout was organized by eight students with the Not In Our School organization. One of those organizers, junior Kavya Sudhir, said they were encouraged by the successful lobbying by the Parkland survivors. After that shooting, Florida raised the legal age for gun purchases to 21, instituted a waiting period of three days, and allowed for the arming of school personnel who are not full-time teachers. Illinois lawmakers are now considering various gun-control bills in Springfield, including raising the minimum age for gun purchases and an outright ban on bump stocks. At Normal West, around 350 students participated, said organizer Amara Sheppard. They passed out tri-fold materials that commemorated the Florida victims and educated students about gun control, as well as acknowledged a moment of silence, she said. “We want to get this message out to our representatives and officials in the state, and hopefully they can take it Washington, and we can make guns harder to access and therefore our school environment safer,” said Sheppard, a sophomore at Normal West. Sheppard praised school administrators for telling students in advance they would not be disciplined if they chose to participate. “The school district handled it very well,” said Sheppard. Sheppard will be one of the speakers at a communitywide rally March 24 in downtown Bloomington, called March for our Lives. A pro-gun and pro-Second Amendment rally was held downtown earlier this month. Meanwhile, there was some movement Wednesday on gun and school safety measures in both Springfield and Washington. The Illinois Senate adopted a ban on bump stocks, an age limit to own assault-style weapons, and an extended waiting period for delivery of high-capacity weapons. And the U.S. House passed a bill authorizing $500 million over 10 years for grants to improve training and coordination between schools and local law enforcement and help identify signs of potential violence before they occur. 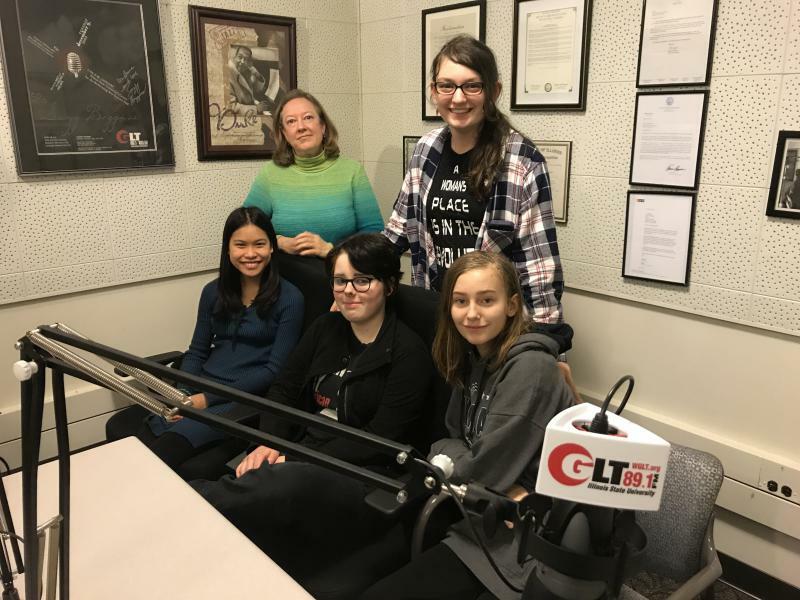 GLT's Ryan Denham talks to Mike McCurdy about Wednesday's school walkouts. Ellie Diggins and her friends can’t drive a car. They can’t vote. They’re not even in high school yet. But they want to influence the public debate over gun violence. Ben Dickmann has been hunting since he was a child. 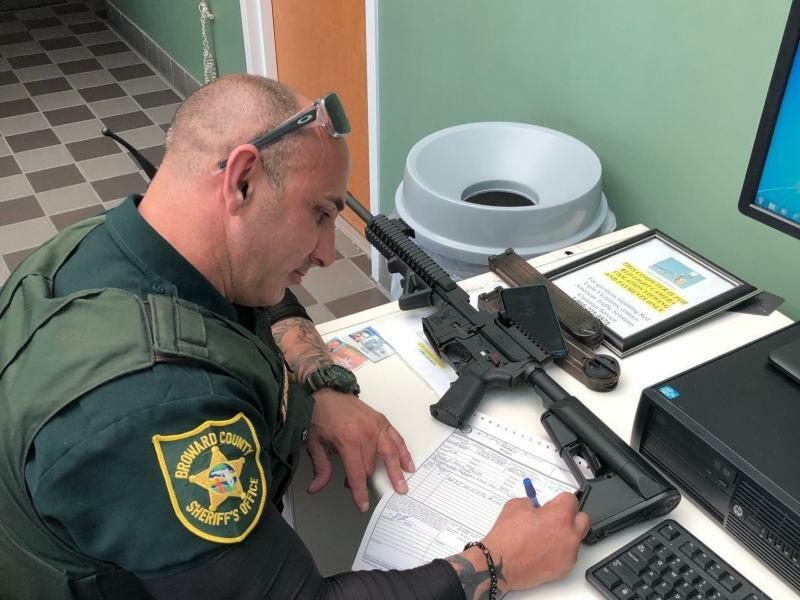 The 40-year-old Florida man enjoyed going out on the gun range to practice firing at targets and was the proud owner of an AR-57, a semi-automatic rifle. 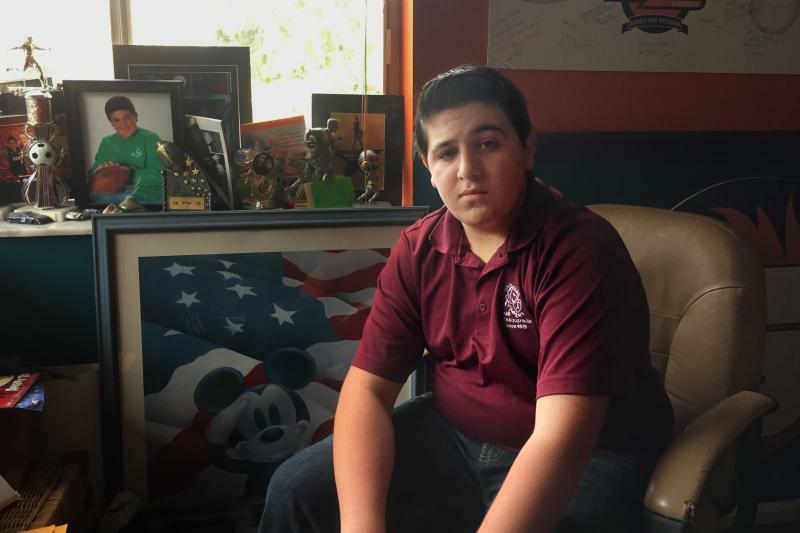 But, after 17 people were killed at Marjory Stoneman Douglas High School by a former student using a semi-automatic rifle, Dickmann, who lives just over 30 minutes away in Fort Lauderdale, did something unexpected.